This beautiful carpet is 100% handwoven which is handcrafted by our talented weavers. This carpet contains Embossed pattern which is very intricate design. This is ideal for the living room or dining space. 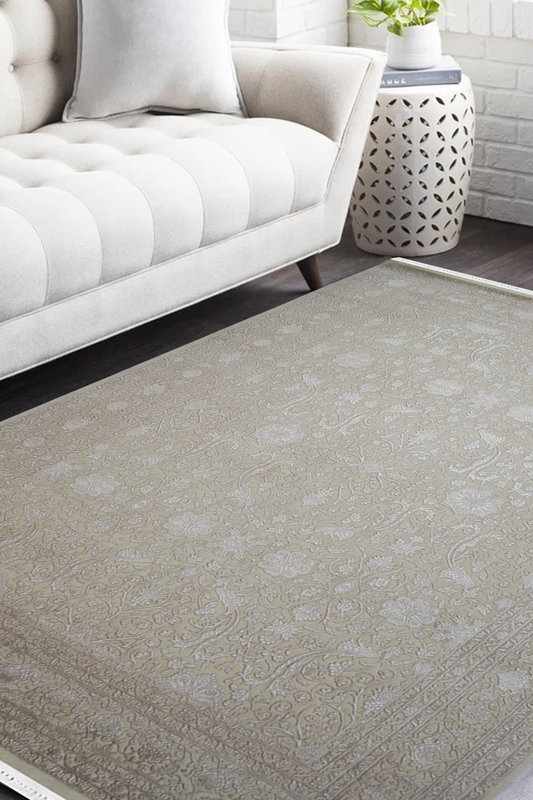 Decorate your home with latest trends and give a classic look to your home décor by placing this gorgeous handknotted wool rug. Floral Tikka is totally hand-knotted in pure New Zealand wool, bamboo silk and finest quality of cotton material. The warp is in cotton and weft is in wool and viscose silk mix. Weavers used a vegetable wet dying process for coloring the yarn and give an attractive look this carpet.